Over the past three years, Snapchat has been slowly moving away from its original concept: a place for creating and sharing ephemeral content that disappears immediately after being shared. With the introduction of Stories in 2013, a feature that allows photos and videos to be visible for 24 hours, the app started inching away from that mission. This week, Snapchat took a giant leap away from its initial premise by introducing Memories. The new feature enables users to share content after the initial photo has been taken, allowing for a more curated (and less instantaneous) experience. But is this too far away from the Snapchat its core user base loves? Will Snapchat shoot itself in the foot by trying to capture a broader audience? Here's everything you need to know about Memories, and what it might mean for the future of the social app. 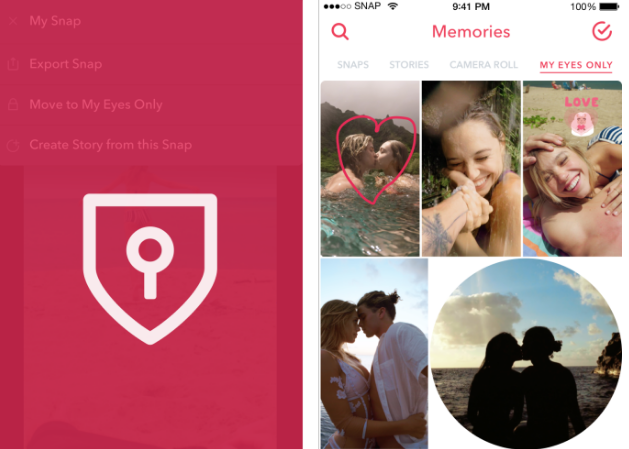 Memories contains four sections: Snaps you’ve taken, Stories you’ve posted, Camera Roll (photos from your phone’s camera), and “My Eyes Only” -- a passcode-protected folder for “personal” Snaps. 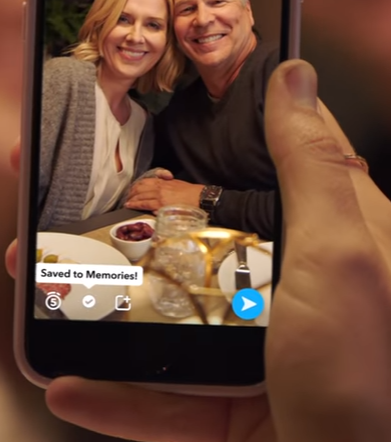 You can access Memories by swiping up from your Camera screen. Save a Snap you’ve taken within the Snapchat interface by tapping the icon in the lower left of the screen. The saved photo will now be available in the “Snaps” section of Memories. Any filters, doodles, or stickers you’ve added will still be available to edit later. 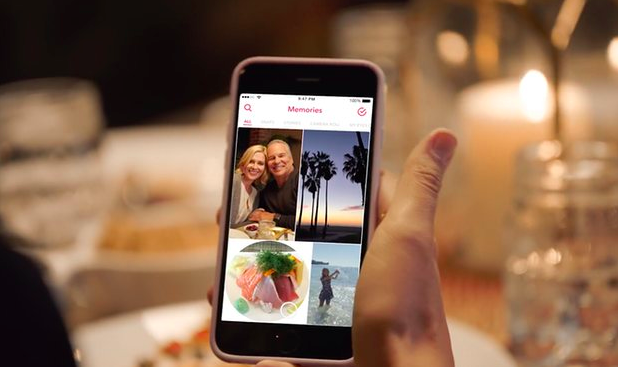 Memories cuts out the middle man: your phone's built-in photo library. As part of the Chat 2.0 rollout back in March, Snapchat introduced the ability for users to upload photos from their phone's photo library to a private message. Memories' Camera Roll took things a significant step further by building a replacement to your photo library -- and Snapchat's Camera Roll is far better (at least in this social media manager's opinion). 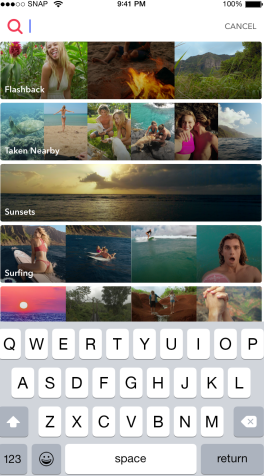 The search feature rivals Google’s Photos app, allowing you to search by location, date, stickers, emoji, or even objects (for example “sunset” or “surfing”). The “Taken Nearby” section allows you to browse all photos taken within the same physical area, like your home or favorite neighborhood spots. TBT fans will love “Flashbacks” -- a feature similar to Timehop or Facebook’s “On This Day” -- which surfaces Snaps taken on this date in the past. The album within Memories might also be useful to replace and/or supplement a traditional phone backup for your photos. Lost your phone but forgot to backup to the cloud? All your Snaps will still be intact, safely tied to your account. Though photos from your camera roll won’t be automatically backed up using Memories, you can manually move them over. The camera roll is directly accessible without leaving Snapchat. Memories will be rolling out to iOS and Android users over the next month. 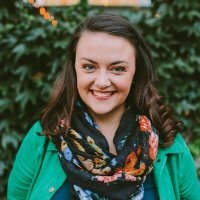 Uploading photos seems like a relatively small change, but it is indicative of a larger shift in how users will interact with the platform. Uploads will allow sharing content from other sites, or sharing of highly polished content. 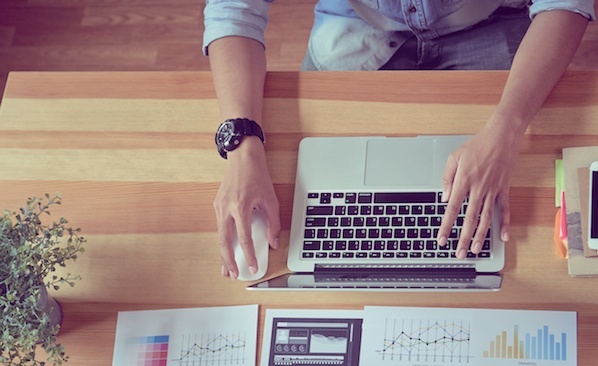 Previously, it could be tricky to assemble a coherent and compelling story on the fly. Memories solves for this problem by allowing users to go back and retroactively curate and share their story, moment by moment. This is a significant shift away from the Snapchat of the past. Snapchat’s distinguishing value proposition has always been a place to share unpolished, unedited moments of your life. Unlike Instagram or Facebook, there’s no emphasis on perfection. Through drawings and stickers, Snapchat encourages users to be silly and light-hearted. The implementation of Memories could fundamentally change this behavior, as users are no longer limited to the Snapchat editorial functionality. Memories also has crucial implications for Snapchat's user base. By abandoning their original mission to cater to the masses, Snapchat is cementing its position as a top messaging app and real competitor to the bigger social networks. Moments will be most appealing to those outside the traditional 18-24 Snapchat demographic. Snapchat knows that in order to capture the “early majority,” they need to win this audience. People who are more “unplugged” than the typical Snapchat user will also appreciate the ability to snap a photo and deal with the sharing later. In addition, creating a more permanent record of photos makes the app more user-friendly and the functionality easier to understand for the less digitally-native population. 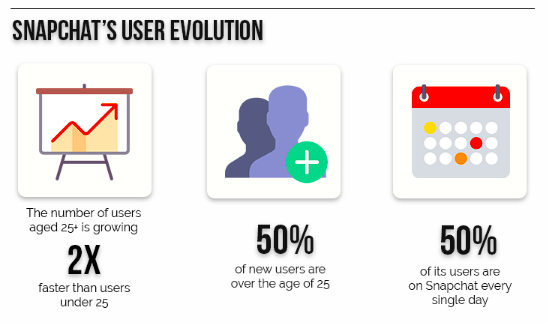 More than 50% of new Snapchat users are over the age of 25, and that audience is growing 2x faster than users under 25. By watering down their previously laser-focused mission, the app will appeal to a wider audience, albeit at the risk of alienating their current audience. Time will tell whether it was a risk worth taking. Will Memories Kill Snapchat's Spark? As many other social networks have done before, Snapchat is attempting to cement its status by widening its net. In this case, they’re trying to become the all-in-one destination for conversation. This move is the latest of several to pull the platform away from the one thing that separates them from other social networks. In a crusade to take on messaging apps like Facebook and Whatsapp, Snapchat could lose their spark -- the “it factor” that helped them rise to popularity so quickly. In six months, we could be struggling to find any major differentiators between social networks, and this is likely what Snapchat is aiming for. 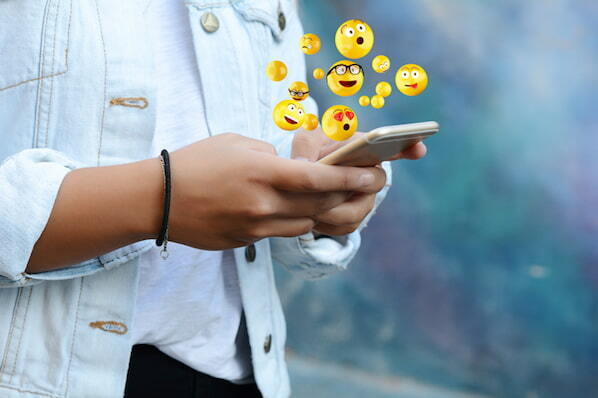 By incorporating Facebook-like features into their platform, they’re betting on users making Snapchat a larger and larger part of their online presence and communication habits. They’re banking on becoming the first widely-adopted social platform for voice, video, photo, and text communication. 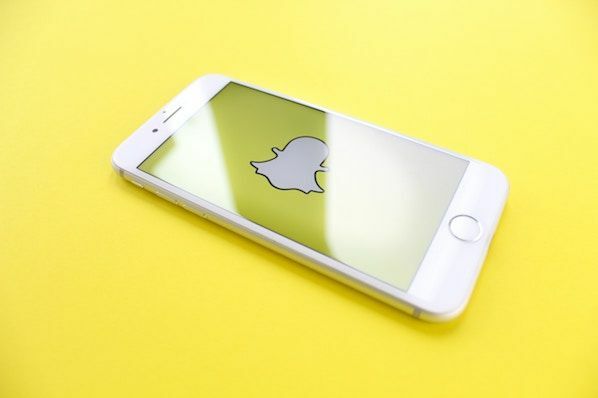 However, in turning their attention away from their core audience and broadening their vision, it wouldn’t be a surprise if young users quickly move on to the next big platform that isn’t infiltrated by advertisers and brands marketing on Snapchat. The word “ephemeral” was noticeably absent from Wednesday’s blog post announcing Memories. While fun may still be central to Snapchat’s mission, it’s clear they’re moving on from their transient roots. What do you think of Memories? Do you think Memories will help or hurt Snapchat in the long run? Let us know your thoughts in the comments.